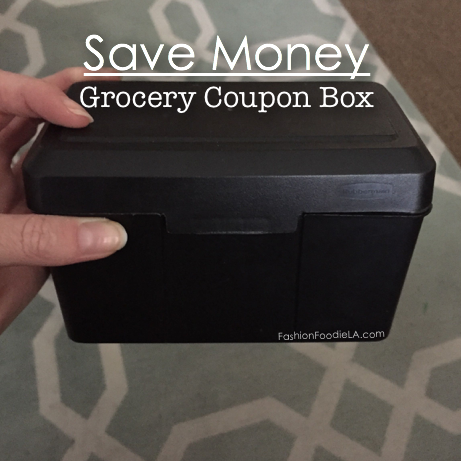 I have always used coupons at the grocery store and this is the secret to keeping them organized! Get a 3x5 card box - you can find these at Staples, Office Depot, or anywhere 3 x 5 cards are sold. 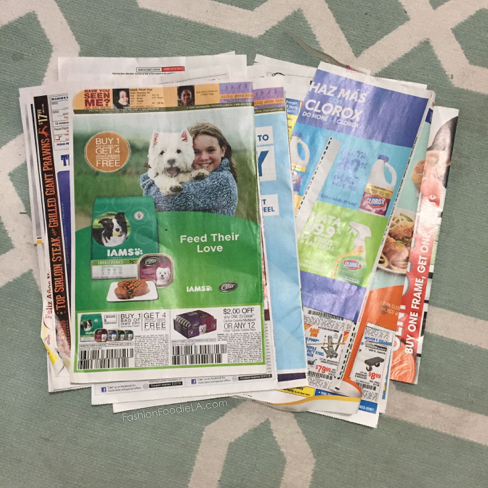 You can find Coupons in the Sunday paper, in the mail, or online. 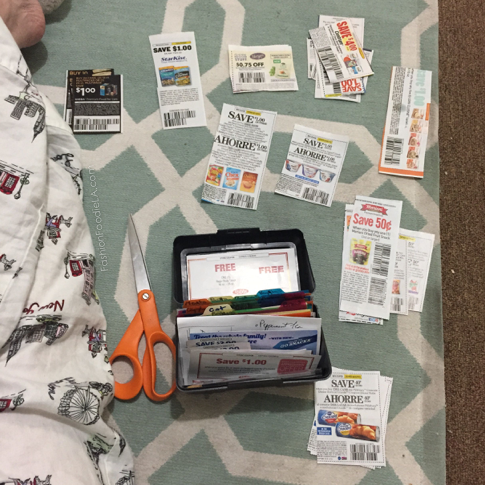 I usually clip coupons in my pajamas before I go to the grocery store. I pile them up according to category and then I put them away in the coupon box. I think this is easier and faster because I am not filing each coupon individually, but in groups. It works for me. I also have a VIDEO if you want to see mine! 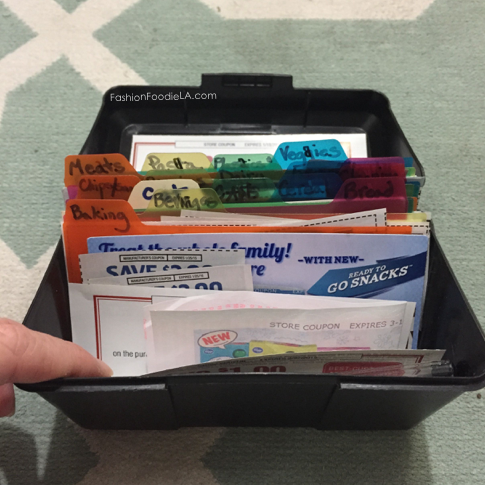 What do you use to stay organized with your coupons? I know we can use digital coupons now, too. But, sometimes they do not offer them online, only in print - this works well for me.